MARA Agent. Australian Migration Agent. MARA Agent (Registered Australian Migration Agent) is the only competent person, who may help you resolve your immigration status and help to sort out your visa if migration to Australia is your goal. 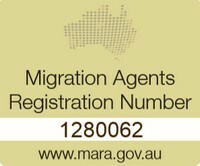 No matter what is your immigration status or what kind of visa to Australia you are looking for, our MARA registered Migration Agents are here to help. Should you require Australian visa assistance Book a consultation and we will check your eligibility for a visa and lead you through the whole Australian visa process until you and your family will be granted with Australian Citizenship. As you may have already noticed Australian visa system is tricky to navigate. Neither Department of Immigration or Australian Embassies are able to provide with immigration assistance. Information on various forums and blogs is often outdated or misleading. Furthermore, it is your sole responsibility to know what kind of visa should you apply for, what kind of documents shall be provided, to which immigration office in Australia or overseas, when and how (online or in a paper form). Do you want to take the risk and follow the uncertain information obtained from outdated sources? Appoint our MARA Agent to maximise your chances of success getting right visa to Australia and make your dream of permanent migration to Australia happen! Do you need to discuss your immigration status? Book an appointment with a Migration Agent to discuss your visa options. 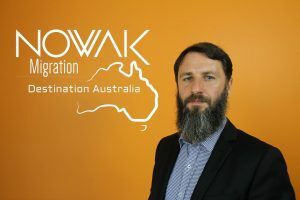 It's not a surprise skilled migration is dependent on an Australian economy, therefore migration laws and regulations are constantly changing to reflect needs of an Australian jobs market. Minor changes in migration regulations are happening every couple of weeks, major ones – at least once a year. This trend can be seen in changes to the MLTSSL and STSOL lists and state nominations. It might be difficult for you to ascertain whether you are eligible for a particular visa to Australia or not, therefore it is in your best interest to seek independent advice and hire an Immigration Agent before lodging your visa application to the Department of Immigration. Let's face the truth - a small mistake or lack of information in your visa application might be the cause of visa refusal, or significantly delay the whole visa process as case officer may ask you additional questions. Although none of the Australian Migration Agents can guarantee a visa grant, we may help you maximise your chances of success to gain a relevant to your circumstances visa to Australia. Are you in a relationship with Australian citizen or permanent resident? If you are in relation with Australian citizen or permanent resident, you might be eligible for a visa to Australia based on your spousal relationship. Do you want us to check if you'd qualify for a spousal visa? Did you know that Registered Australian Migration Agents are required to have an in-depth knowledge of Australian migration law and procedures to meet high professional and ethical standards? For your peace of mind, we are bound by a Code of Conduct and must be registered by the Office of the MARA to be able to provide with immigration assistance. You should ask yourself if you can afford not using qualified Australian Migration Agent for one of the most important tasks of your life, which is immigration to Australia. We have helped many people from various parts of Australia (Brisbane, Sydney, Melbourne, Perth, Cairns to mention a few) and also from all around the world.